Wikipad has announced a new game controller compatible with Android and Window 8 OS and probably with iOS too in a near future. 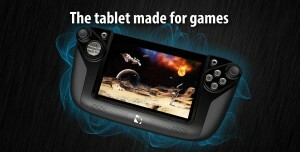 This device, named Gamevice, will be optimized for 7-inch tablets, but in principle it could adapt to multiple devices. Wikipad is a well known manufacturer of physical controllers, and its flagship product, the Wikipad 7, has just received a major OTA update (over-the-air). Among other features, the upgrade to Android 4.2 allows the addition of new games like the famous Madfiner’s Dead Trigger 2, and also includes a lot of titles from its new partner WildTangent Games. The Wikipad 7 is a tablet designed for gamers. It includes a removable controller that provides a similar experience to a console. It has a 7-inch screen, 16 GB of memory and a micro SD slot that can provide an additional 32 GB. The processor is an NVIDIA Tegra 3 quad-core, and it also has micro USB, GPS, accelerometer and gyroscope. This tablet is on sale for $264.96 on Amazon. The Wikipad 7 didn’t have the success that the company expected, probably due to its price, and now wikipad has also announced the arrival of a more versatile version of the controler, the Gamevice . The Gamevice is also a physical controller which is coupled to both sides of the device, mimicking the experience of playing with a console. The controls adapt to both sides of the tablet and are flexible enough to fit different types of devices. The Gamevice has two analog sticks, the L1/R1 and L2/R2 buttons, and a directional pad, all the necessary buttons to emulate the experience of playing on a console. Wikipad has given no details on price or release date has just announced that it will be in 2014.